The story, reported by Bild magazine, has already made its way into English, Italian, Czech, and Turkish-language media, with the Kremlin saying the card may have been issued to Putin as part of an inter-agency agreement between the Stasi and the KGB. 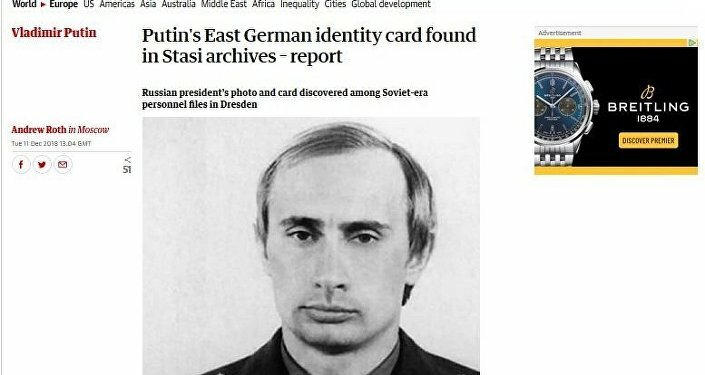 On Tuesday, Bild magazine published an article with the sensational headline "Putin's Secret Stasi ID Card", saying that a newly discovered document, a salad-coloured Stasi ID card with a picture of a young Vladimir Putin plastered on the front, seemed to suggest that "the former KGB officer and current Kremlin chief…was, until the fall of the Wall, also an employee of the infamous Ministry for State Security!" The card, a complete, non-edited, and superimposed version of which was not provided, was said to have been issued 31 December 1985 to one "Major Vladimir Putin", valid through the end of 1989, and includes a signature which doesn't match the Russian president's current signature. According to Bild, the document had been lost in the "boring classified files" of the "cadres and training" department of the former Stasi administration in Dresden, the East German city where Putin is known to have served during his time in the KGB. The former chief of Dresden's Stasi Records Agency, Konrad Felber, commented on the alleged find, telling Bild that "it was hitherto completely unknown that Putin, who worked until 1990 as a KGB agent in Dresden, also had a Stasi ID. Because in the common file…which holds the service cards issued to Soviet military personnel, Putin is not listed". 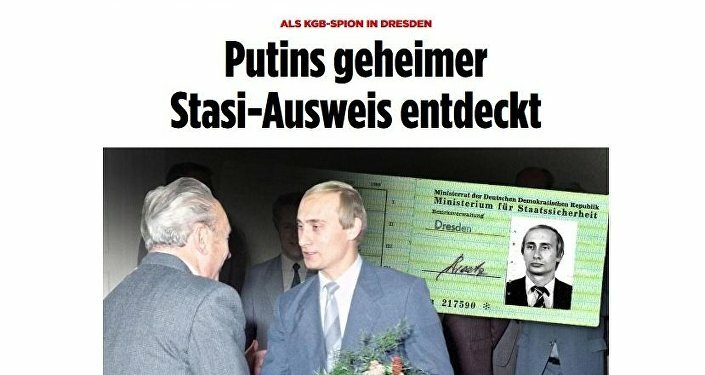 Felber stressed that the identity card "does not automatically mean that Putin worked for the Stasi." Rather, the archivist noted, the document would have allowed him to go in and out of Stasi offices, could be used with police, and would have facilitated his work recruiting agents, since he wouldn't have to tell would-be recruits that he worked for the KGB. "It is unclear why Putin left the ID card behind when he returned to Moscow in early 1990 instead of destroying it", Bild noted. Presidential spokesman Dmitry Peskov commented on the Bild article on Tuesday, saying that if he had to make a guess, he would say that the document may have been issued to Putin as part of the partnership between the KGB and the Stasi at the time. Peskov suggested that questions on this issue should be addressed to the SVR, Russia's foreign intelligence service. 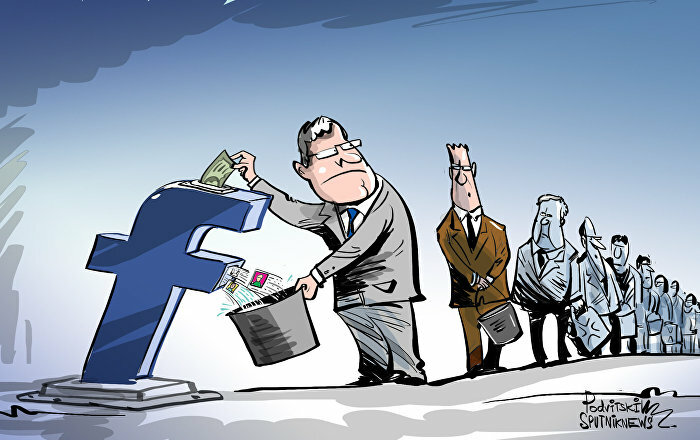 In any case, German social media users had a field day with the story. "Bring this spy back to Berlin and do not let him go!" one user joked. "Totally secret, but known for 30 years…" another added. "He doesn't seem so secret if his details were neatly filed in the archive…" a third chimed in. One Russian-speaking user questioned the authenticity of the alleged 'ID', pointing out that "the photo for documents should be the full face, whereas "Here it's a semi-profile view. And there is no seal on it. Looks like a fake." Western media had a field day with the story, playing on the established lore about Putin's "mysterious past" in the KGB. The Mail's take on the story, as expected, has been the most sensationalist. Screengrab of the Guardian's take on the story. Previously published Stasi materials on Putin included generally mundane details, including the fact that he arrived in Dresden in August 1985, that his wife and daughter came to the country in the autumn of the same year, that they lived in an ordinary apartment on Radeberger Straße 101, and that the Putins' second daughter was born in Dresden in 1986. 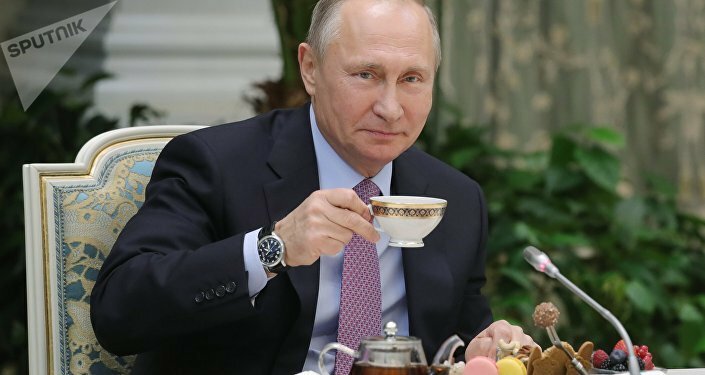 Putin was also said to have been a member of a local fishing club, to have driven a Lada Zhiguli sedan, and to have enjoyed Radeberger beer, a local brew, at Zum Thor, his favourite pub. The Russian president never made a secret of his KGB past, and has repeatedly opened up about his work for the fearsome Soviet intelligence service in interviews and documentaries.